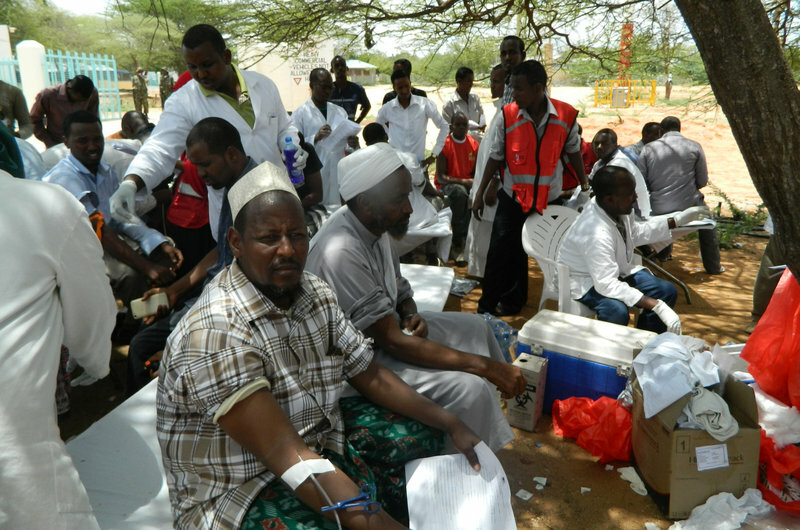 Local residents donate blood at Garissa hospital Thursday, after Al-Shabab gunmen attacked Garissa University College in northeast Kenya. Kenya’s National Disaster Operation Center says the government’s operation against al-Shabab militants on a university campus in Garissa is over. It says that 147 people were killed, along with four militants. The center added that 587 students had been evacuated from the building; 79 people were injured. It said all students were accounted for. The school reportedly is attended by more than 800 students. The attack reportedly started with explosions and the killing of two guards, as gunmen attacked around 5:30 a.m., local time. The attackers then entered a dormitory. Al-Shabab, an Islamist group from neighboring Somalia, says it released Muslims after separating them from Christians, some of whom were killed. From Nairobi, NPR’s Gregory Warner says it’s the deadliest attack on Kenyan soil since the bombing of the U.S. Embassy in 1998. Gregory said there have been frequent attacks in Garissa, a highly militarized town that is 100 miles from the porous Somali border, but none where so many civilians were targeted at once for so long. I wasn’t going to post this article on World News Forum​. I had intended to highlight it via Facebook. Unfortunately, when NPR updated the article it didn’t update the link. Anyway, this is a major world news story. The tales of terrorism that emerge almost daily from Africa have received far too little notice in the Western media. We are hypocrites and fools for that. The threat that Islamic extremism poses to these fragile African nations and their peoples is significant. The people of Kenya in particular are suffering mightily because of Al-Shabab. Well said. I do not understand the silence and lack of action. African nations need our support and attention. I would even support sending our military into Africa to help these communities being terrorized. I have never said that before. Perhaps I was being a bit unfair and hyperbolic. The Western media does report on the terrorist attacks in Africa. There just doesn’t seem to be much of a market for such news. Most Americans did not know it then, and most probably still don’t, but early in his presidency, in 2011, Barack Obama sent U.S. military advisers to help African Union forces track down the notorious Joseph Kony and his Lord’s Resistance Army. The impulse to want to send American forces in when we see injustice in the world is completely understandable. It is how we Americans prefer to see ourselves, as defenders of freedom and human rights. But we can’t respond militarily to every outrage and every crisis simply because it would be the right thing to do. We just don’t have that power. Personally, I do not think you over reacted. I have heard very little from the media about the crisis in Africa. Maddow and BBCA have covered the topic but it is rare. Considering the quality of material on most cable news programs, the crisis in Africa would be far more interesting and important. Most Americans do not know what is happening. I actually forget that our President sent military advisers to help. In my life time, I have never really supported a military response. I guess that I am having a deep emotional response in this case. I have so much respect for those African Nations. 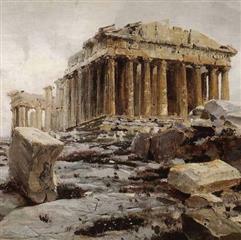 Their long history, cultures and even their art should be valued. Someone posted an article on WNF that talked about how the African art and culture has never really been studied until recently. There was an exceptional video included in that post which I watched several times. You are correct, we don’t have the man power or wealth needed to save the world. I wish we could help Africa in some positive way. Well, especially when I am tired, I have a tendency to get a little angry with all of us. It’s not a self-righteous thing. I rail against my own biases as much as those of anyone else. I think that there is instilled in most of us from a lifetime of growing up in an absurdly narcissistic and arrogantly superior culture a nasty tendency to dismiss the importance of less economically and politically developed places in the world, such as much of the African continent.